Last week, from the 23rd until the 26th of October, we attended the Norwegian Red Cross Africa Team Meeting in Naivasha. The meeting gathered Norwegian Red Cross staff that work with projects within the Africa portfolio. We made a presentation on how the Youth Delegates Exchange Programme contributes to the International Strategy of the Norwegian Red Cross. Those of you that attended our workshops in Nyahururu and Nanyuki know that we like to facilitate participatory exercises. This time was no different, and we commend the participants at the Africa Team Meeting for their effort (but you should all rehearse “Concentration is the game, keep the rhythm if you can”). Have a look at this video to see some clips from the meeting and Naivasha! Ensure basic needs are met, and improve the health of the most vulnerable people affected by conflict and protracted crisis. Improve national, regional and global disaster preparedness and response systems to acute disasters and ensure coordinated recovery from large-scale disasters. 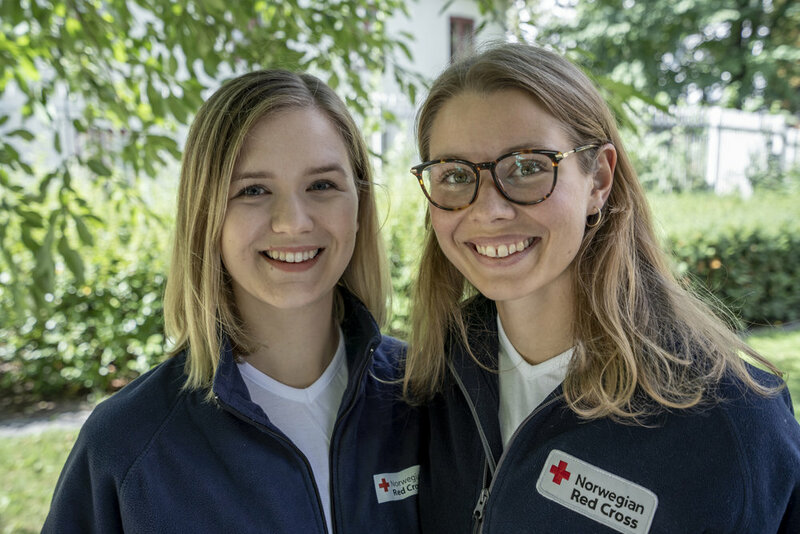 Click this link to learn more about how the Norwegian Red Cross is working to reach these humanitarian objectives together with the National Societies where it operates. Within the continent of Africa, the Norwegian Red Cross is partnering with RC/RC National Societies in Burundi, South Sudan, Kenya, Somalia, Mali, Cameroon, Niger, Nigeria and Chad to meet the humanitarian objectives. Note how partnership with National Societies is highlighted in the International Strategy. National Societies are the first to respond to emergencies because of the presence of local volunteers. The situation is the same here in Laikipia County, where the Youth Delegates Exchange Programme aims to increase local youth volunteer capacity to alleviate human suffering. Camping in Naivasha. Photo: Elfi Thrane Bemelmans. Lake Naivasha. Photo: Elfi Thrane Bemelmans. Hell’s Gate National Park. Photo: Jacob Parsampula. Hell’s Gate National Park. Photo: Elfi Thrane Bemelmans. Older Post"How is it to be a youth volunteer in Laikipia?"